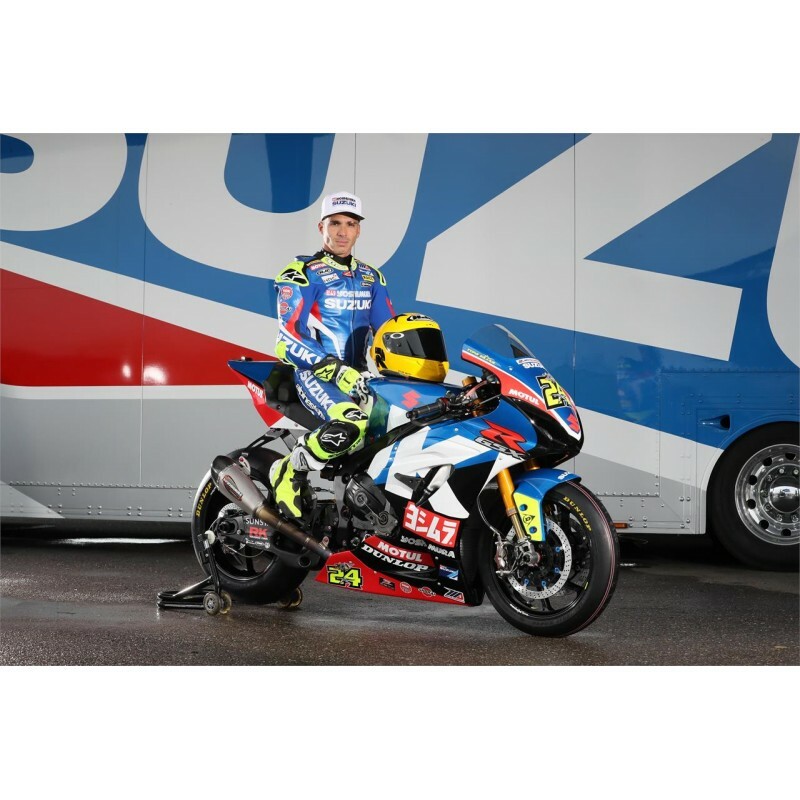 "We designed for the new Suzuki GSXR 1000, brand new stacks and to be sure we made multiple versions and sent them both to the most succesful Suzuki Race Team in the world to test them. They already use the MWR "WSBK" filters so the entry was easy. 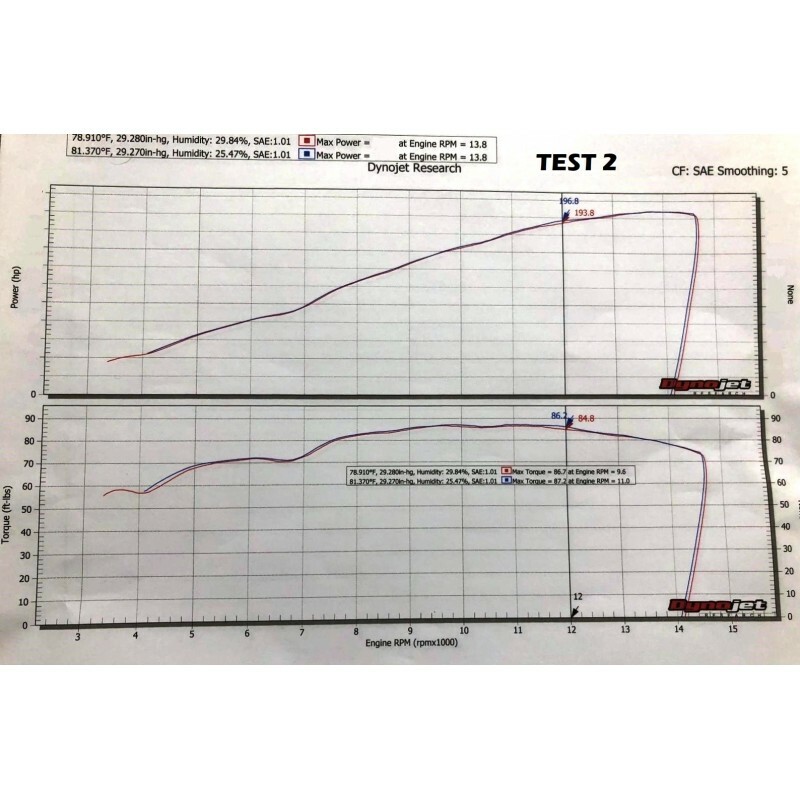 To make all things about the tests clear I’ve added two dyno graphs of both tests. 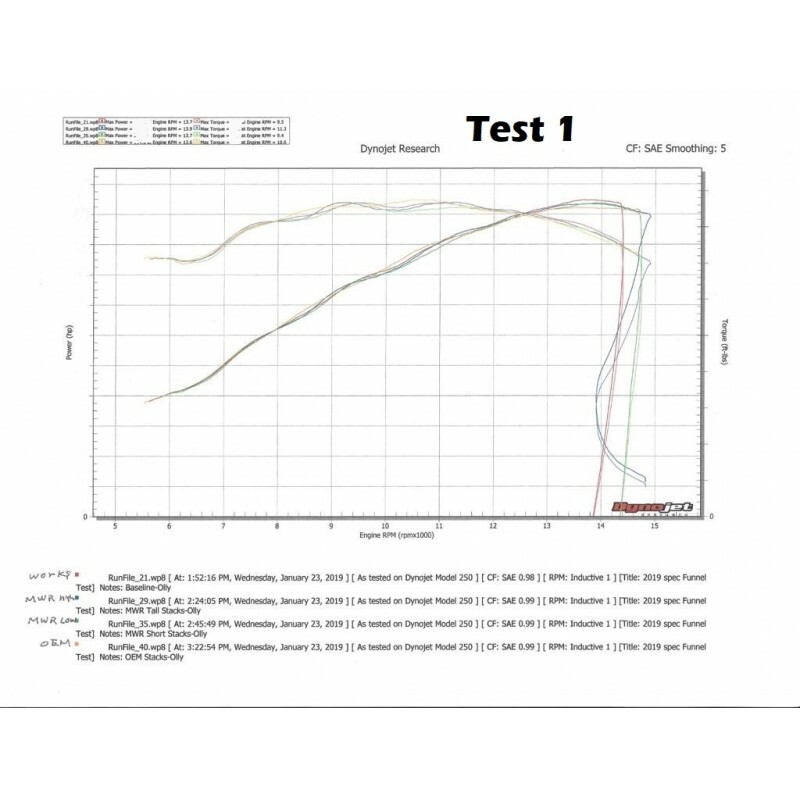 As you look on the dyno graph you see both MWR perfrom well but not enough to beat the Yoshimura Works stacks from Yoshimura . The best MWR stacks increased the power with 3HP compared to the OEM stacks but were 2 HP down (on top) compared to the Yoshimura Works stacks. We did go back to the drawing table and designed a completly different design compared to the first ones , send them over to Yoshimura USA again for testing ..... and with great results . Red line = Yoshimura Works stacks and blue line = MWR stacks . Over the complete range the MWR stacks are slightly better as the Yoshimura Works stacks with around 12K significant difference in power & torque . This test made the Yoshimura Racing Team decide to use the MWR stacks in 2019 on both bikes of Tony Elias & Josh Herrin." And here they are, the brand new MWR performance stacks for the Suzuki GSXR1000 2017-2019! We ended up also with type with double cone velocity stacks to create high top-end power with no loss of torque and midrange power. As you can read below the power is slighty better then the top-secret Works Stacks from Yoshimura , but also at least 5HP more as the OEM stacks . MWR Air Filters are built upon 2 decades of experience in developing and producing high perfor..